21-year old student Scola Tumwebaze is pushing for the emancipation of the Batwa community and other ethnic minorities in Uganda. A Mutwa herself, Tumwebaze frequently feels discriminated and humiliated by classmates for being of Twa ethnicity. On October 4 2017, she participated in a dialogue session promoting the rights of indigenous minority groups in Uganda, further invigorating her activism for her community. The Batwa are a distinct ethnic group originally from the region around Lake Kivu and Lake Edward in East Africa. Today, members of the community can be found in Rwanda, Burundi, Uganda and Eastern Congo. Following forceful relocation, often for conservation reasons, they have limited access to education and the job market. They suffer from political and societal marginalization and are unrepresented in the government, causing discrimination in society and the job market. Scola Tumwebaze,21 is a second-year student at Bishop Baham University in Kabale District. 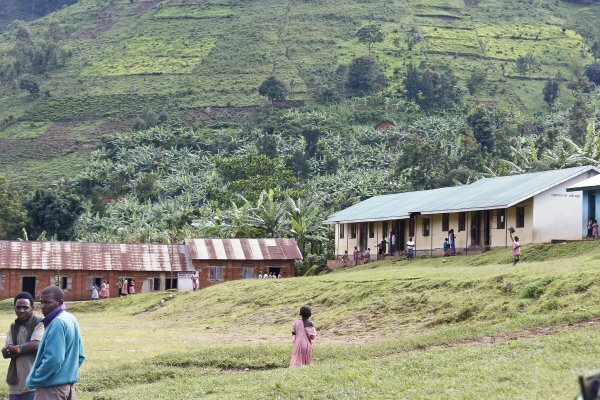 A Mutwa by tribe, one of the minority ethnicities in Uganda, Tumwebaze is among the few who have defied the odds to attain such a level of education among the Batwa, thanks to the Bwindi Mgahinga Conservation Trust that's paying for her education. Well aware of the marginalized and vulnerable background, Tumwebaze is determined to use her education to raise the voice of the Batwa. A student of Social Works and Social Administration says she has faced all kinds of ridicule and isolation simply because of her height and tribe. "At school, whenever I say I am a Mutwa everyone laughs at me, students think as if Batwa are not human beings, but I am determined to use my education to raise the voice of the Batwa and other ethnic minorities," She said, adding that the discrimination and ridicule is worse against her uneducated tribesmen. Tumwebaze was interviewed by Kampala Post reporter after participating in a one-day dialogue on promoting the rights of Indigenous Minority Groups in Uganda, held at Macknon Suites in Kampala on Wednesday. The dialogue organized by Coalition on Indigenous Minority Groups (IMG Coalition) was geared towards creating an interface between representatives of the minority ethnicities and policy makers, represented by Members of the Equal Opportunities Committee of Parliament. During the dialogue, representatives from the Batwa, Basongora, Banyabindi, Bagungu, Maragoli and Tipeth among others voiced out the continued discrimination and marginalization they are subjected to by the major and majority tribes. They claimed that sometimes they are forced to hide their tribal identity in order to access some services. David Ndooli, a member of the Maragoli Community in Kiryandongo district disclosed that "The Maragoli were not issued National Identity Cards, during enrollment we were advised to register as Banyoro, some refused to lose their identity while others registered as Banyoro. However, even those who registered as Banyoro have never got their National Identity Cards," Ndooli explained. He added that they have since petition parliament and the Attorney General over the issue. The Deputy Executive Director of Cross-Cultural Foundation of Uganda (CCFU), Barbara Babwetera and a member of the Coalition on Indigenous Minority Groups said there's negative attitude towards the minority groups engineered by the majority ethnic groups in communities. Babwetera revealed that people from the minority groups are isolated in terms of access to social services and political representation. "Currently we only have one Member of Parliament from the IK Clan, in areas where they (such people) have been elected there is an issue of assimilation to the majority groups," Babwetera noted. "If MPs (Members of Parliament) insist to take a deeper look at the budget to ensure there's affirmative action for the IMGs (Indigenous Minority Groups)," she added. The Member of Parliament for Tepeth County in Moroto district, Albert Lokoru and a member of the Equal Opportunities Committee of Parliament said "The Committee is currently gathering issues affecting the minority communities, we have done consultations at Constituency level on equal opportunities and a number of issues have come up. We shall soon table our report on the floor of parliament." According to Wikipedia, Echuya Batwa, commonly known as pygmies, are the most vulnerable, marginalized, voiceless and endangered group of people around Echuya Forest Reserve in Kisoro and Kabale Districts of South-Western Uganda. The Batwa are believed to have migrated from the Ituri Forest of the Democratic Republic of Congo in search of wild animals to hunt, hence the name Kisoro, literally meaning "the area occupied by wild animals".The Batwa live in small huts mainly made from sticks and grass.